How serious are you for photography? is it your dream? is it your passion? 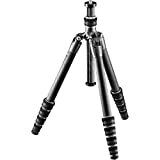 If yes then you must know the professional tripods which are useful for you and which you shouldn't even think about. It is essential to own a tripod for a person who is not doing photography just for time pass. Important for the one who is even just 8% serious about it. There is a certain thing you should be 100% sure about before going out to buy a tripod. These things will save you from wasting your money. These things will help you in making up a right choice for your tripod. Yes! if you don't want to end up having blurry and shaky images so be clear about certain perspectives. How can you get to know that which tripod will suit your camera? 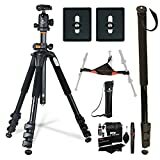 Which one will be helpful for your photography practices and the most important part which one is best Budget Tripod ? 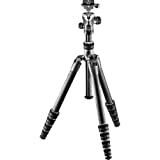 After some research, we have found some best tripod to facilitate you. 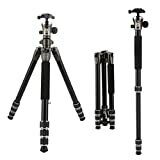 This exceptional tripod kit comes in Aluminium at a very affordable price. It costs around 159$. This was launched in 2010. It is very feasible for anyone to carry it along anywhere as it weighs just 5.8 pounds and its height is good too as it can be open up to 69 inches which is tall enough for good photography. The main issue which tripods come with is a stability issue when the height is increased its stability gets to be shaky much. Vanguard Alta Pro worked on this part and proved to provide the best stability along with such tall height. It has three alloy aluminum legs which are easy to adjust at 25, 50 and 80 degrees, which makes a very good angle. Its central column is in hexagon shape which makes it the most protein. This amazingly flexible tripod comes with quick-flip leg lock as well. 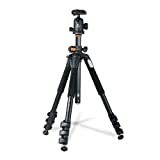 This tripod stand comes with any shock ring and a very good carrying case which makes it more suitable to travel along. 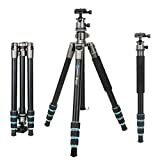 If you are looking for one incredible tripod and can't compromise on quality so yes here is what we present which will actually fulfill your desires completely. This tripod is a little expensive but this attracts those who don't mind the thing being expensive if it comes with perfect quality. This tripod costs $760. 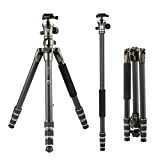 The stability of this professional tripod along with the brand image makes it a big shot. This tripod is so light in weight. It weighs around 3.1 pounds and its extension can be made up to 58.5 inches which is helpful much and this provides really good help in long photography. While folding this tripod it can get to the 14 inches which is easily portable. It will help the people who are actually traveling fan and want to capture every shot to the level of perfection. 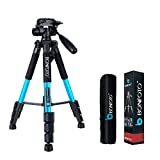 People like this there wait is not at the end because now this tripod is in the market and it is actually creating its consumer market to a profitable level. Still, some people will be wondering about the price tag that why is it too much. It's being lightweight and of good height is not just the positive element it is made up of carbon fiber exact tube legs and those legs have G lock technology in them. 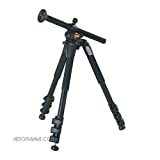 It's material avoid the dust from getting inside the main areas of the tripod and keep it long lasting and smooth. 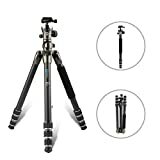 This aluminum tripod comes with a lot of traits and in a very good budget, any new person in this field with the very limited amount of money can easily buy this and without even regretting. This tripod costs only $97. 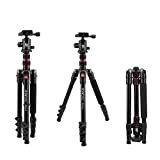 It weighs an around 2.9 pounds which are actually considered to be really very light in weight and easy to carry where you want which is one core purpose of selecting a right tripod stand. It can be maximumly extended at 55 inches. This much height is more than enough for this amount, this material and this much of weight. 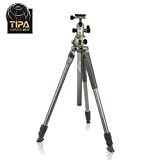 This tripod has the best size for portrait photography along with landscape photography. 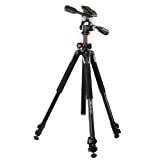 This tripod comes with three locks on its legs and for locking the camera and it can be panoramically panned at 360 degree which is essential in getting the complete wide view of field photography. 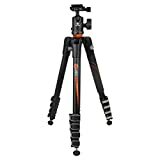 The very attractive feature in this tripod is that it can be converted to monopod by the removal of one leg so with the rest of two it becomes a very useful monopod. Very less amount of tripods offers this kind of special feature. It comes with dual bubbles for better positioning. 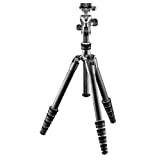 This tripod stand is made up of Aluminium and this one is considered to be best for its portability. It comes with the option of ball head due to which it is said to be the top choice for the photographers. It has a rapid column for rotation, it can be easily folded and it is amazing in its folding features. So the person who moves his places frequently will actually go for it. This is the best tripod under $200. When the point is about the stability so its ball head is taking over other as it proves to provide fantastic stability and camera won't shake at any point and this will make easy for the photographer to get the on-point shoot and even for the video making as well. Its three aluminum legs help in getting best angles as well with the height of 53.1 inches. 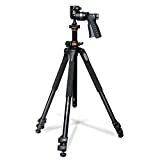 This tall height of this Tripod stand will help the photographer in getting the amazing shot and along with this traveling kit, it won't be any hassle for him to maintain all the necessary items. carrying this piece is good for this profession and for his bank balance as well. As he wouldn't have to pay a huge amount for buying tripod like this. This one offers a good package for this amount. 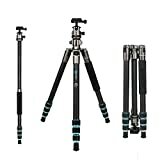 Before buying and getting on one point of choosing giving different tripods a thought should be made mandatory. This will keep you on the safe side.